The following is being republished here with permission of the author's editor, Mark Potok. It was written by Leah Nelson under the Hatewatch section of the Southern Poverty Law Center using the title "In New Novel Glenn Beck Warns of Squirrel-Worshiping Socialists." 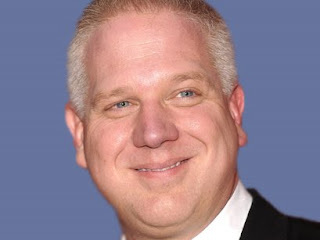 America’s favorite far-right entertainer, Glenn Beck, has always got the scoop on the coming End of the World and how to protect yourself from it. When he’s not urging fans to buy guns and gold, he’s telling them to build bunkers and stock up on food. Now, just in time for the holidays, the fear-mongering eschatologist is shilling for a new prophecy of doom – one that comes wrapped in a neat dust jacket, ready to stuff in your loved one’s stocking. Released on Nov. 20, Beck’s latest contribution to the American literary scene is Agenda 21, a dystopian novel set in a not-too-distant future in which America has been taken over by radical socialist environmentalist atheistic technocrats who steal babies and control all citizens with an iron fist, watching and reporting on everything they do. Weirdly enough, Agenda 21 brings to mind no book so much as Margaret Atwood’s feminist masterpiece The Handmaid’s Tale, also set in a not-too-distant-future America. Atwood’s dystopian future is overseen by Christian televangelists who run a patriarchal dictatorship centered on reproduction in which women are completely subjugated to men, and reproduction is subjugated to everything. Agenda 21 is a near-perfect political inverse with a very similar plot line. Its protagonist is Emmeline, a teenaged girl who lives in a Republic ruled by supreme leader “Fabian” (doubtless a reference to the Fabian Society, a U.K.-based socialist group that formed around the turn of the 20th Century which favored a gradualist approach to implementing socialism and some of whose early members embraced eugenics) and countless minions who monitor every aspect of citizens’ lives. Unlike the religious fanatics of The Handmaid’s Tale, the authorities who control Emmeline’s universe are ardent atheists who have destroyed all the churches and forbidden citizens to utter the word “God.” In this world, human life has no value: squirrels run free and are feted with the ever-diminished crop yields, while humans are interned in highly regulated compounds (FEMA camps, anyone?) and must work endless hours, sustaining themselves only on tasteless “nourishment cubes.” All children are raised in collectivist villages, and deformed babies, people who can no longer produce and dissidents are “recycled” in a plant that employs teenagers to its ugly work. Though it’s a work of fantasy, Agenda 21 is named after a United Nations sustainability plan that Beck and other conspiracy theorists have described as a vast and vicious plot to take complete control of all the world’s resources, implementing a communist dictatorship that will deprive Americans of their constitutional rights. In reality, Agenda 21 is a voluntary, non-binding, and not terribly successful U.N. agenda for sustainability that was signed in 1992 by President George H.W. Bush and 177 other world leaders, who have since proceeded to do practically nothing to implement even its most basic provisions. Though it’s not an excruciatingly bad read, Agenda 21 is replete with tired similes and grating staccato sentences that beat a repetitious rhythm as unimaginative and predictable as its plot. At the novel’s beginning, Emmeline lives with her parents in a tiny space just big enough for sleeping mats and the treadmill-like “energy boards” on which she and her mother must walk interminable hours to feed energy into the Republic’s insatiable power grid. There are no books, prayer is forbidden, hard currency has been eliminated, and only government agents are allowed to carry firearms. Citizens subsist on their nourishment cubes, while squirrels, wolves and birds are worshipped and fed until they proliferate and fill the wild lands between compounds. At night, humans must attend Social Update meetings, where they pledge allegiance to the earth and mindlessly praise the Republic. Under the tutelage of her mother, a former high school history and Sunday School teacher who revered the Founding Fathers, Emmeline learns a bit about the “before-times,” when she and her parents lived on a big farm in Kansas. But everything changes when it is discovered that Emmeline is of reproductive age. Whisked to a medical clinic for invasive testing which confirms her fertility, she is issued a headscarf – which like all women of childbearing age she must wear whenever she is outside of her living space – and quickly “paired” with a total stranger with whom she must reproduce. Like all children, the little girl she bears is to be raised in a sterile “children’s village,” to be reared by the state according to scientific standards. Emmeline herself is one of the last “homeschooled” children with actual parents – a fact that makes her the subject of much smirking by younger people raised by the government, but which ultimately gives her the strength and knowledge to escape. Which, of course, she eventually does, bringing Beck’s tale, mercifully, to its utterly predictable conclusion. Actually, as it turns out, Beck is not even the true author of this plodding opus. According to a Nov. 19 article published in Salon, that honor belongs to woman named Harriet Parke, who agreed to be advertised as its ghost-writer but in fact wholly conceived of and wrote the story, agreeing later to cede ownership of the idea to Beck, presumably in exchange for the better visibility and money his name would bring her. His name isn’t the only thing Beck added to Parke’s work. Never subtle, the former Fox News star appended an Afterword guaranteed to send shivers down the spine of any far-right, New World Order-fearing paranoiac. “At its core, “ Beck writes, “Agenda 21 is all about control.” And if concerned citizens don’t put a stop to it, he warns, Agenda 21 could be a tool to make it illegal to build a fence; chop down a tree; have more than one child; or even (horrors!) to dump a cup of coffee in the ocean. Beck is hardly the first far-right figures to embrace the idea that sustainable development is a socialist conspiracy. In 2002, libertarian commentator and former Ron Paul aide Lew Rockwell – who has also been known to issue his own doomsday warnings about an impending U.S. civil war – ran on his website an article claiming that environmentalism is a crypto-communist plot whose ideological leaders include Mikhail Gorbachev, former president of the USSR, and Muammar Qaddafi, the eccentric Libyan dictator who was deposed in 2011 and was later killed. Charles Krauthammer, an influential neoconservative pundit, has also jumped on the bandwagon. In a 2009 column for the Washington Post, he warned that socialists in the thrall of the “newest religion: environmentalism,” are intent on “shaking down the industrial democracies in the name of the environment.” “[E]nvironmentalism is becoming the new socialism, i.e., the totemic ideal in the name of which government seizes the commanding heights of the economy and society,” Krauthammer wrote. Nor is Beck the first to seize on the idea that Agenda 21 is an evil menace that must be stopped. That dubious honor belongs to the American Policy Center, an anti-government group whose leader, Tom DeWeese, has spent years telling anyone who will listen that the U.N.’s nonbinding sustainability initiative is really a plot by “international forces” intent on “turning [American] communities into little soviets.” Phyllis Schlafly’s ultraconservative Eagle Forum has taken up the anti-green flag, as has the resurgent John Birch Society, best known for claiming that President Eisenhower was a secret communist and that water fluoridation was a communist plot to poison America. In 2011, JBS launched a massive campaign to spread the word about of Agenda 21’s perfidy, warning that the ultimate goal of this 20-year-old plan is nothing less than a new world order in which rural regions will be depopulated and foreign bureaucrats will mandate family size here in the United States, imposing forced abortions as they do in communist China. Alabama, Hatewatch’s home state, bought the propaganda, and in May became the first state to outlaw Agenda 21 altogether. Also spooked, the Republican National Committee in January passed a resolution opposing Agenda 21, decrying the nonbinding measure as “a comprehensive plan of extreme environmentalism, social engineering, and global political control.” Counties in various states have adopted similar resolutions, as has the Tennessee House of Representatives. Ironically, Agenda 21’s agents are not nearly as certain of their power as Beck and his fellow fear-mongers are. According to a “review of the implementation of Agenda 21” issued by the United Nations’ division of sustainability development in January 2012, “[o]verall … progress on Agenda 21 has been limited,” with “no progress” or “regression” in the areas of promoting sustainable human settlement development and changing consumption patterns. (In other words, the ultra-spartan “living spaces” Beck’s book envisions are not exactly around the corner.) The bottom line is that, as has been amply demonstrated by decades of failed peacekeeping initiatives, humanitarian interventions, and other unsuccessful efforts, the U.N. is a cumbersome body with lots of high-minded ideals but little ability to implement them. As with fears that this international coalition will somehow manage to confiscate Americans’ guns and obliterate the Second Amendment, the idea that it will seize control of property and implement an enviro-communist technocratic dictatorship is not only paranoid, but patently absurd.